Monoliths & Dimensions involves a lot of spoken word --- or more precisely, words slowly croaked up from the gullet and dribbled out. It's not a common trait to Sunn 0)))'s work, especially since their standard, downtuned feedback drones recede into the background for six minutes on album opener "Aghartha," effectively granting center stage to the gutteralizing. The voice belongs to Attila Csihar of the black metal band Mayhem, and the second thing Sunn 0))) do in the liner notes, after introducing themselves, is list him and guitarist-percussionist Oren Ambarchi as "key players." The two have worked with founders Stephen O'Malley and Greg Anderson, in varying combinations, in other bands. In comparison to the somewhat tedious "Aghartha," "Big Church" is attention-grabbing, with a quasi-angelic choir set against the antimatter drones. Each section or set of verses is split up by the kong of tubular bells. Is this heaven vs. hell? Who's winning? Well, Csihar is back for "Hunting & Gathering (Cydonia)," but no angels. Doesn't look good. "Alice" finally retires him and brings in harp, strings, alto flute and French horn, but the potentially intriguing accents they provide are arranged in a way that doesn't make their presence felt until almost the 12-minute mark. 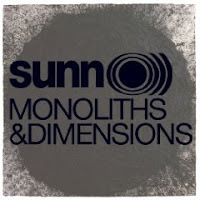 Still, we shouldn't put too much weight on Monoliths & Dimensions, because Sunn 0))) are given to experiment. All these developments could very well be expunged before the next album. 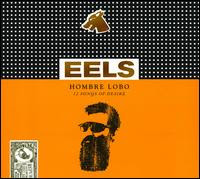 Meaning "Wolfman" in English, the latest studio album by Eels chronicles feelings primal and wistful, the two almost split squarely into odds and evens. The wistful side is familiar: softly chiming guitar, simple percussion, frontman E's gentle hoarseness. But the primal part is probably where the title springs from, and the band push forth with a comparatively raw approach on songs like "What's a Fella Gotta Do" and the swaggering "Tremendous Dynamite." E unveils a convincing bluster and whoop, assimilating garage-rock characteristics pretty well, although his in-the-red vocals are overdone and showy. You can see this wistful-primal divide as man phase and wolf phase, if you like; and without some fur flying, the groveling might have become tiresome. 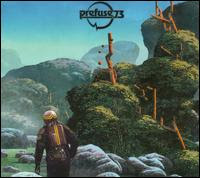 It's recharging to hit "Fresh Blood" midway through the album, the stalking toms and the wary guitar peeps working with E's measured delivery to wind up the tension for the inevitable release. In true lupine fashion (Howlin' Wolf, Wolfman Jack, Sam the Sham & the Pharaohs), he's just howlin' for his dawlin'. A mosaic of microtracks built from vocal fragments, percussive loops and brief, manipulated samples, Everything She Touched Turned Ampexian is the fruit of Guillermo Scott Herren's labors with Ampex analog tape. 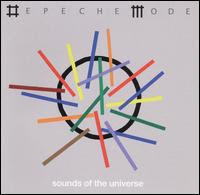 The 29 tracks unfold like channel-surfing dream sequences, but with their internal vignettes, you'd be forgiven for thinking the album held 40 or 50. Though beats and loops tie Ampexian to hip-hop, Herren's approach has more in common with experimental electronic music; he's on Warp, but he'd also be at home on the Ninja Tune label. The melange that Herren draws from was at one point funk, soul, jazz, rock, exotica and electronica, but the genres are so mutated and treated here that they seem more mechanized than human-created. If "Preperation's Kids Choir" was originally kids singing, it's now a helium whine. That might have been a kazoo in "No Lights Still Rock," but it's now the shrill tra-la-las of a robot gone haywire. Ever heard a piano turn into an ice cream truck? You can in "Fountains of Spring."